Don’t get sucked in to the Dark Side when patients lash out and administrators move in. A post on EM Docs generated hundreds of comments on the topic of a hospital’s response to an angry patient. The hospital’s “angry patient protocol” led to an upsetting interruption that hindered the emergency physician’s ability to care for the angry patient and all his other patients. Subsequent meetings with administration added fuel to the fire. We care for unhappy patients expertly almost every day, but sometimes our hospital administrators get involved. When this happens, there are some techniques you can use to help both yourself and your patients. The discussion below is not the case that was posted on EM Docs, but is a real-life case that will serve as a way of thinking about the interactions. Patient: My back is killing me, my work requires me to lift boxes all day, and if I don’t have a note I won’t get paid. I haven’t used any of my sick leave all year long and I have two kids and a wife to support. I’m not here for pain medicine, I just need to be able to go home and rest and use the sick leave that I am entitled to, and I’m not leaving the ED until I get a note! I paid $125 in a copay because my family doc can’t see me for a week and I need the work note for today, not next week. Doctor: This is this guy’s third visit to the ED for back pain in two years. He always wants a work note. Since when did we become Burger King? “I’d like two Motrin and a work note. Can I just use the drive through window?” I trained long and hard for emergency medicine, and the medical decisions are mine, just like administrative decisions belong to administrators. And yeah, in 10 years on the job here I’ve never missed a shift. Is it just a coincidence that he hurt his back Thursday night just before the weekend he is off? Administrator: I don’t get why the doctor doesn’t believe the patient. Hasn’t he ever hurt himself? I have had to drop what I was doing to come here and save the doc from having another complaint in his file — and all I’m asking the doc to do is write the work excuse. However, he won’t even give me the time of day, and says he is “too busy” to talk to me. Who does this doc think he is to have me standing here waiting for him for 45 minutes? Point of View: Unfortunately, everyone is right in this case. In many of the rural EDs where I work there is only patchy primary care doc — and patients often cannot get a work note without going to the ED. Just like we won’t write a note for a missed shift a week ago, there is a good chance the family practitioner will not either. The ED in many places is the only place where you can get a note for the shift that you are missing right now, and for some employees that note is a requirement to keeping their job. The administrator feels that she is performing a service for the doctor and doesn’t understand how her involvement in the case is making things worse. To be honest, she is expecting to be thanked for coming to help. Being told to wait or being ignored by staff increases her belief that the ED is a dysfunctional department — no wonder patients are angry! And the physician, who may or may not be technically right about not writing the work note, is making things worse by not communicating. For every scenario, assume you are swamped with genuinely ill patients who truly need you. You had no idea that the patient advocate was called down and your first clue is that she is walking out of Room 3 with a disapproving, pursed lips. The one thing you cannot do is not speak to your colleague at all. She really is there to help you, and while you can put a timer on the interaction, you cannot avoid any interaction. There is often something important to learn from her and there is always a need to build respectful interactions so that she will be your ally in these encounters. You see the patient advocate walk through the ED doors and she hasn’t spoken to the patient yet. Make a beeline for her, and greet her warmly. This is your opportunity! Allocate two minutes of brain power to thank her for coming and outlining the problem as you see it. Keep the problem with the patient to 30 seconds and don’t vent. You know the patient will be ranting—be the good guy. Spent the other 1.5 minutes on the solution so that it is clear in her mind how you’d like her to respond to their complaints. There’s a bit of self-reflection required for this part. 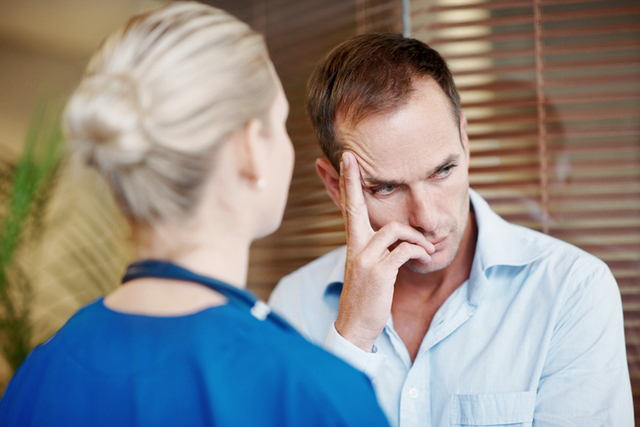 Are you absolutely certain that this patient would not be better off with a day off of work? On what are you basing that decision? Are your resentments about having to work when you are ill clouding this decision? Are you truly acting in the best interest of the patient? If this was someone you loved, would you want the doctor to give a work excuse to him? Cases can be much more complicated than this, and can involve medical treatments like administration of drugs, hospital admissions or performance of testing. For these cases, the physician is the final word on placing these orders, but you must make sure that your decision making is 100% appropriate and based on medically sound, irrefutable decision-making. Many years ago I called a patient advocate about a patient who wanted admission for the same hip pain for which she had been admitted three times that month already. While the advocate spoke with her, I reviewed the chart and noticed that her inpatient workups were limited. I then ordered a CT abdomen/ pelvis that showed an abscess along the psoas muscle, requiring admission and drainage. I was embarrassed that I jumped to conclusions based on past (incomplete) workups, and that I called in the advocate before I had all the facts. This may be the most important part. Five grateful wonderful patients may not be able to wash away the taint of one mean and nasty patient in a shift. Bad things seem to burrow deeper sometime. After you have reflected on the etiology and perhaps made a plan for how you will handle things differently in the future (or not), you’ve got to let the interaction go. Attach visual imagery — a butterfly releasing from your cupped hands, closing the door on a heavy vault with the interaction inside it, or even detonating a bomb on a pile of dog poop in the distance — whatever works! Then, when it pops up in your mind again, think about something else, like the dosage of NAC in acetaminophen poisoning. Don’t let a burr become a sore. When patients are angry, they are likely to push our buttons and may make us angry, too. Recognize when you are responding in this manner so you can control your words, tone, body language and overall response to get the outcome that you desire. When hospital administration and patient advocates show up, prove to them that you are the consummate professional with mastery of your emotions and communication. Behaving in ways that are seen as unprofessional just reinforce the impression that you are partly to blame and can generate more meetings later. Emergency Physicians pride themselves on remaining calm in a medical emergency, so this is right up our alley. Channel your inner Yoda when faced with challenging patients — and administrators. “Hmmmm. Come to the Emergency Department you have, help you I will” and communicate like a Jedi master.